Climb aboard for an experience navigated purely by the wind speed and direction. 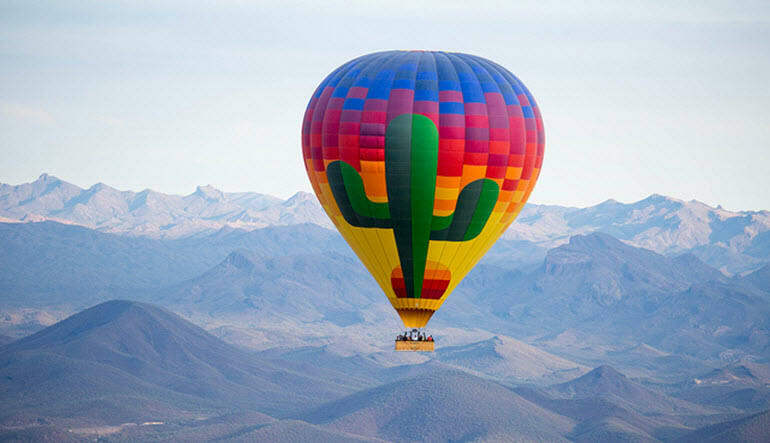 A hot air balloon ride in Phoenix above the Sonoran Desert is a once in a lifetime opportunity. Your experience begins at dawn as you make your way toward the launch site for a friendly meet and greet with your pilot and crew. 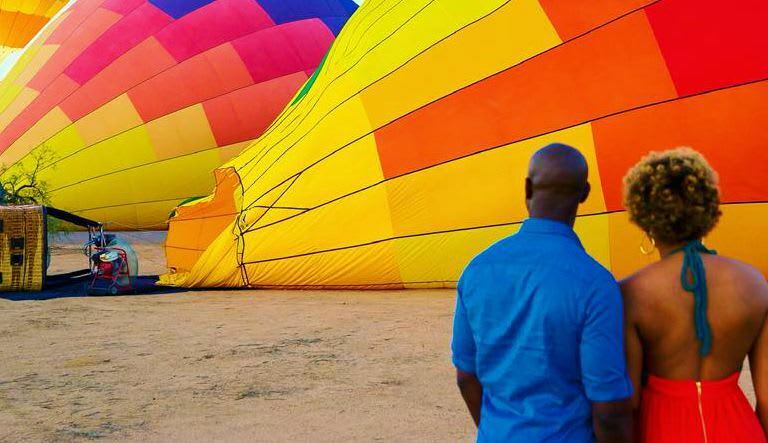 As the sun peeks its head above the horizon and the crew completes the inflation, you’ll board the basket for a one-of-a-kind experience. 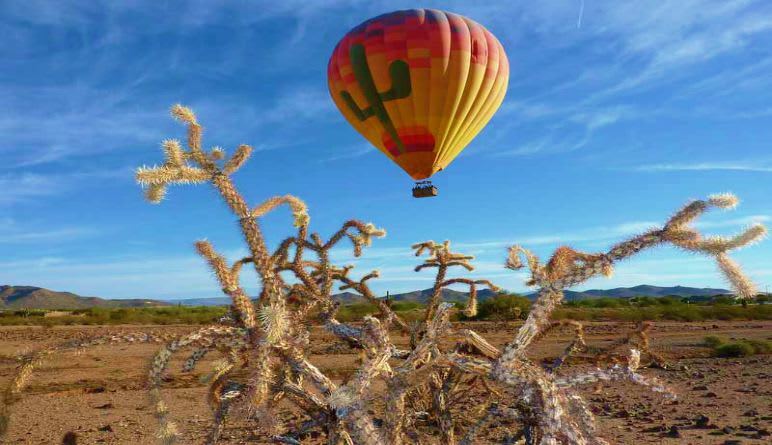 The backdrop for your flight is the Sonoran Desert – ripe with saguaros and palo verdes. These famous cacti are the defining plants of the Sonoran Desert. Along the one-hour flight you’ll also commonly see quail, jackrabbits, roadrunners and coyotes. Upon landing you’ll be introduced to cuisine delicious prepared by a nationally-acclaimed chef. Post flight gourmet options including sparkling cider and orange juice, Southwestern style vegetable quiche, warm croissants, soft cheese and seasonal fresh fruit. 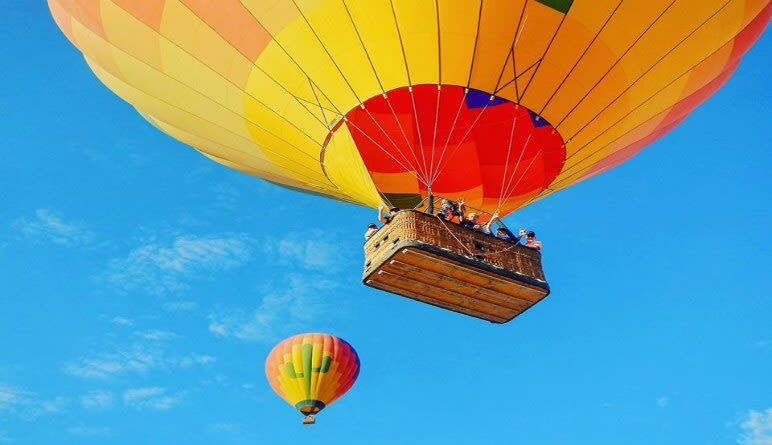 I brought 3 other people with me for their first time balloon ride. They all said they totally enjoyed it and would go again. I am so pleased with your company. We had a great time. This was my second ride, first with Adrenaline. Very good job all the way around Thank you! Captain Greg Kennedy and His Crew were Awesome! I thought Inwas gonna be less satisfied not having a private flight but I was totally wrong! The group experience was great and the experience was Outstanding! What a class operation! We will recommend you to everyone we know! Thanks for the great thrilling ride! Our pilot was amazing and Ken, our driver was totally awesome! We're still flying high! Very enjoyable ride that was over too soon. Will recommend to family and friends. Thanks again for a wonderful start to our day.